Even though it may not feel like Spring where you are, this is the time to connect with your customers to remind them that you are still quilting and are ready for them to bring their quilts to you. It is also the time to remind your customers that weddings, graduations and other related events are coming and that they should begin their quilts for these events – or bring the quilts they have been working on, to YOU!! How do you let your customers know about all of this? Send them a note or card through the (regular) mail! In your note or card you can also include a little goodie reminding them of your quilting services. I am not talking about anything imprinted or expensive such as pencils, mugs, etc. I am talking about some small, quilted items that are easy to make and easy to send through the mail. These mug rugs have a heart motif on them and could be used for Valentine’s Day, but you could easily substitute a Spring theme. What about a simple flower design, or, if you are ambitious, maybe piecing a simple flower or Spring-like design and then quilt them into mug rugs or pot holders, etc. Depending on the number of customers you have and the backlog of quilts waiting to be quilted, you may want to be selective of who you send these quilted items to. I am assuming that you have complete contact information about your customers including name, phone, physical address, email, etc. Level 1 – this is the “regular” customer that keeps you in business. They may bring a quilt (or more) each month or so, or at least on a somewhat regular basis. Level 2 – these are somewhat regular customers, but you haven’t heard from them in about 6 – 9 months. Level 3 – you have not heard from these customers in 9 – 18 months or so. Level 4 – you have not hear from these customers for over 18 months. This could include the customers you have not heard from in years. If you have a number of customers that you have not heard from in a few years, you could categorize them as a Level 5. After you have categorized your customers determine which ones you would like to send a “goodie” to. Personally, I would concentrate on the Level 3 and 4 customers and send a Spring note and goodie to them. If you concentrate on the Level 3 and 4 customers, I would also include a coupon for a Free Batting. Why not! This might be the “nudge” this customer needs to come back to you. Since we are talking about Free Batting, why not include a Free Batting coupon that your customer can give to their friends! It may take an afternoon to make something small for your customers, but the rewards can be great! You may even want to make a few extra goodies and save them to give to your new customers. Even though the calendar says it’s Spring, it still feels like Winter! But I know that Spring will be here soon with green grass, flowers, warmer weather and much longer days! I remember working on your quilt (name of quilt) in (month and year). You did an excellent (good) job of piecing and I hope you are enjoying your quilt as much as I enjoyed working on it. I would love to see you and your quilts again. I have enclosed two gifts for you. Once is a quilted (mug rug/potholder/other) that I made for you. The other gift is a coupon for a FREE BATTING for you and for your friends. 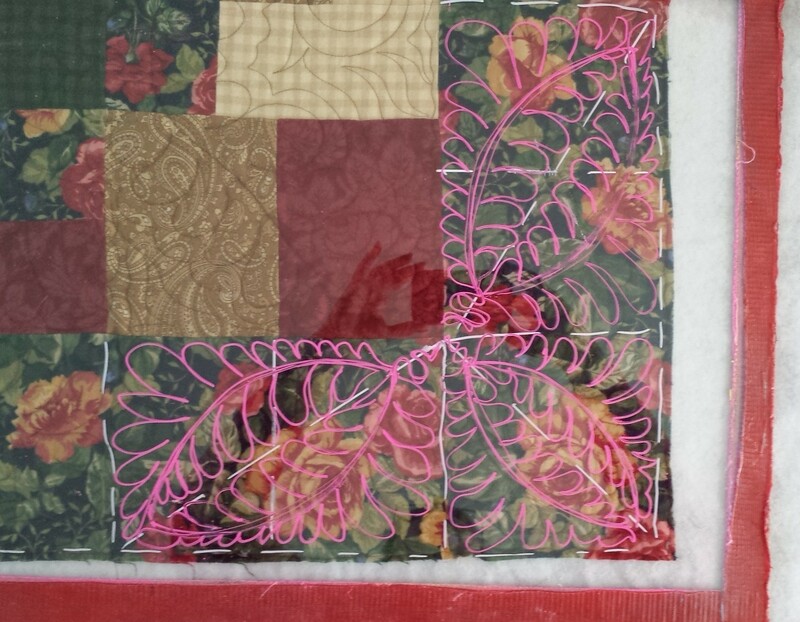 Feel free to call me at 111-111-1111 to schedule an appointment to bring your quilt to me for quilting. I look forward to Spring and welcoming you and your quilt(s) back to my studio. If you know how to do a Mail Merge this would be a great time to use it. If not, you can put the individual information into each note. I urge you to “get to making something” for your customers, target your “lost” customers, thank your regular customer and – Make It Happen! PS Feel free to post your comments. If you use this idea of goodies and Free Batting in your machine quilting business, let us know how it is working!